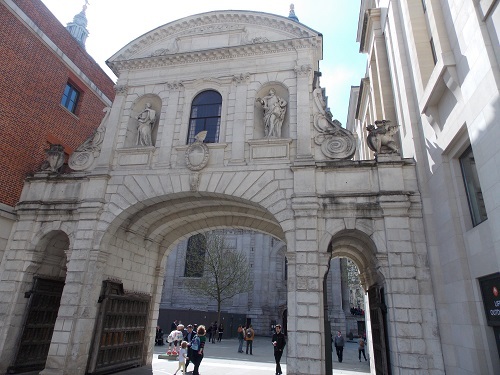 Standing near to St Paul’s Cathedral, mostly ignored by visitors is an arch that has a remarkable history. 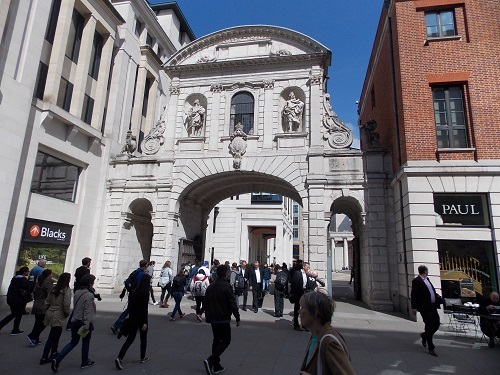 The arch is known as the Temple Bar and was commissioned by King Charles II, and designed by Sir Christopher Wren. Constructed from Portland Stone between 1669 and 1672 it occupied one of the most important locations in London, separating the City of London and the City of Westminster. This location was the point where Fleet Street becomes the Strand, a site now near the Royal Courts of Justice, it was at this spot that a Temple Bar stood from the 13th century. Originally just a wooden structure with a chain, it possessed considerable symbolic importance. 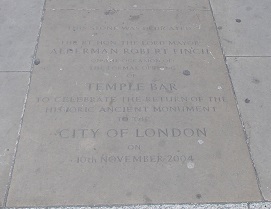 Temple Bar was the scene of a large number of historical pageants celebrating coronations and paying homage to dead Kings and Queens, through the Temple Bar passed Henry V, Anne Boleyn, Edward VI and Mary Tudor. Before Queen Elizabeth the first’s coronation, Gogmagog the Albion, and Corineus the Briton, the two Guildhall giants, stood next to the Bar. In the late Middle Ages a wooden archway stood on the spot and although it escaped damage in the Great Fire of London , it was decided by the City to rebuild the structure. 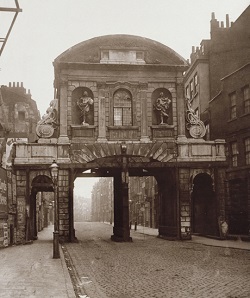 The Wren designed Temple Bar is constructed in two stories with one wide central arch for the road traffic, flanked on both sides by narrower arches for pedestrians. During the 18th century, the heads of traitors were mounted on pikes and exhibited on the roof and upper story room was leased to the neighbouring banking-house of Child and Co for records storage. In 1878 the City of London Corporation decided that the arch was becoming a bottleneck for traffic and decided to dismantle the structure. It dismantled it piece-by-piece over an 11-day period and the Corporation stored the 2,700 stones. 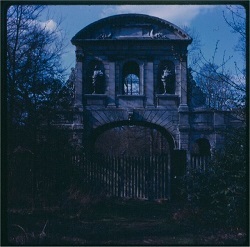 In 1880, at the instigation of his wife, Valerie Meux, the brewer Henry Meux bought the stones and re-erected the arch as a gateway at his house, Theobalds Park in Hertfordshire. Lady Meux used it to entertain friends but after she died, it became derelict and abandoned until 2003. In 1984, it was purchased by the Temple Bar Trust from the Meux Trust for £1. It was carefully dismantled and returned on 500 pallets to the City of London, where it was painstakingly re-erected as an entrance to the Paternoster Square redevelopment just north of St Paul’s Cathedral. It opened to the public on the 10 November 2004. By londonvisitors2014 in Hidden London on May 17, 2015 .